The GKIC SuperConference is THE place where experience, wisdom and the best fortune-making, security-defining and life-liberating tools and strategies come together. Best part: This year, we are focused solely on “growth hacks”…little things you can do for your business that can summon a spark of growth in your business. And we invited REAL implementers to show us what’s working “in the trenches” for their businesses—no wannabe entrepreneurs here! And (If You’re New) It’s The Biggest Headstart You’ll Ever Get! We’re about to arm you with PROVEN “outside the box” tools and strategies that are going to let you GROW your business without wasting your money or your time. SuperConference is the place where lives have been dynamically changed for the past 15 years – either through a new contact, new strategy, or new “a-ha” moment that lead to a new era of increased income, liberty, autonomy and confidence. Past attendees tell us they couldn’t sleep during the nights of the SuperConference because they were so excited about the discoveries, tools and people they met during the event. You simply cannot get this stuff in isolation – where you just stick with what you already know in your business – and keep talking to the same people and colleagues you talk to everyday. If you think 7 is lucky, then 21 is triple magic! 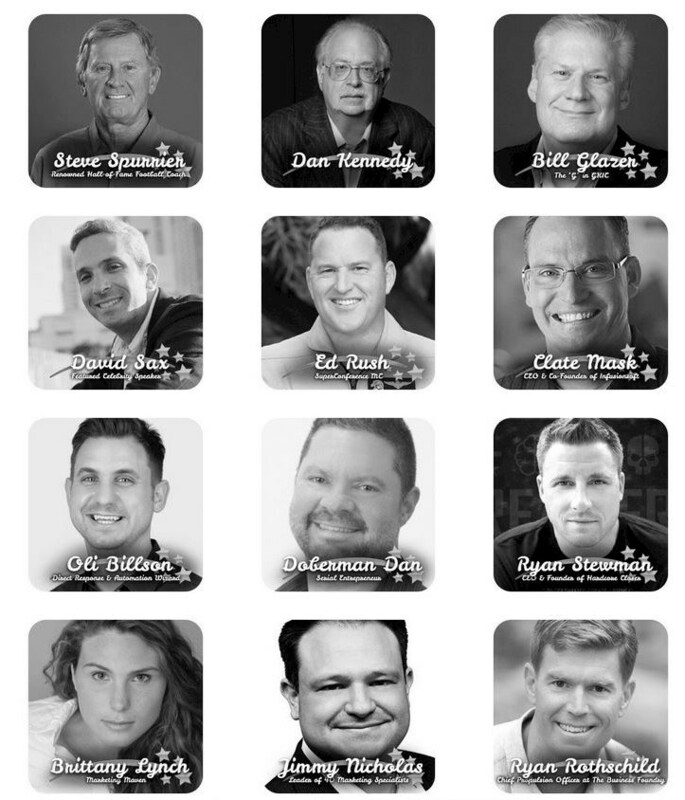 21 is the number of all-star experts, celebs, and real-world business rockstars sharing all their personal growth hacks at SuperConference 2017. SuperConference is THE place where opportunities happen! There is no other place where you can immerse yourself in these “growth hacks” for three solid days – where you’re away from distractions at home, stress and strife from your business – to create the BIG life you want.